I have a "Christmas" box with decorations - lights, tree stand, garlands, ornaments, and stuff. It waits in the basement for most of the year and faithfully produces its festive treasures every December. Now, although it's lovely to have items that have fond memories, I also want something new each year! Instead of spending money on more ornaments which would soon overpower our little tree, my solution is edible ornaments - and being a chocolate lover I look for chocolate Christmas ornaments. If you can relate to that sentiment, you'll find some colorful, festive, and tasty ornaments right here. 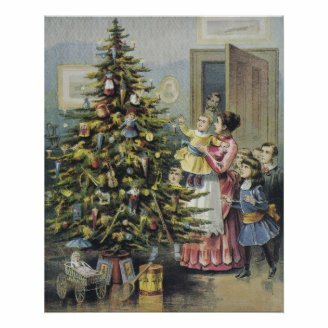 From the cutting down and bringing home of the tree, through the decorating it together as a family, to the excitement of finding the gifts it bears, the Christmas tree has become an essential element of any Christmas celebration. For me, the perfect addition is a collection of chocolate ornaments that not only look beautiful but taste good, and are available as gifts for anyone who stops by that I didn't prepare a gift for. Who can be offended by being asked to choose a fun gift hanging right there on the tree! These gold and red wrapped chocolate bells add just the right touch to the Christmas tree. Tasteful and tasty! Contains 8 Chocolate Ornaments with strings - all ready to put on the tree. Imported from Germany. Well of course you just have to have Santas! 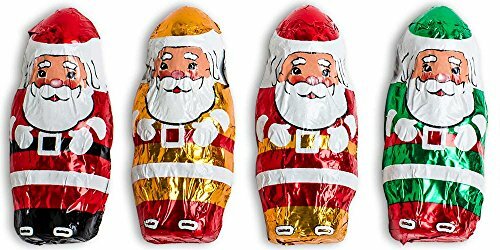 Here are some "Mini Santas" made of solid milk chocolate. They're not quite ready to hang on your tree - but just attach strings and you're all set. Aren't snowflakes just a wonderful part of Christmas? While chocolate snowflakes are not as delicate as the real thing, they taste better! 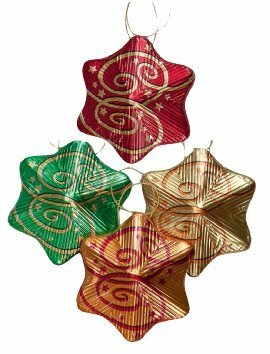 This collection has 8 assorted snowflake ornaments, individually foil wrapped in different colors. Each snowflake is made of solid milk chocolate, and has a string attached for hanging on the tree. 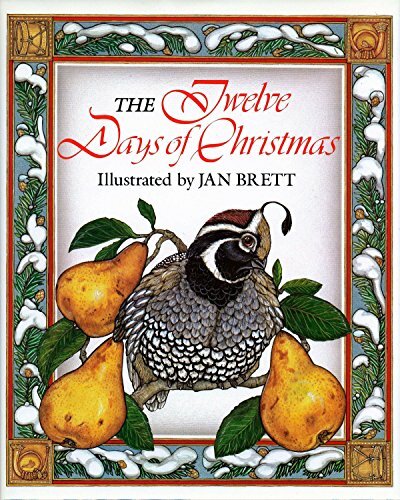 There's never a Christmas that goes by without hearing "The Twelve Days of Christmas." So why not join the cheer by singing along. This delightful book contains wonderful illustrations of the song portrayed in various levels of meaning. The fantastic gifts are portrayed in amazing splendor (seven swans swim in Russian headdresses) and each page features the story of a family's preparations for Christmas. 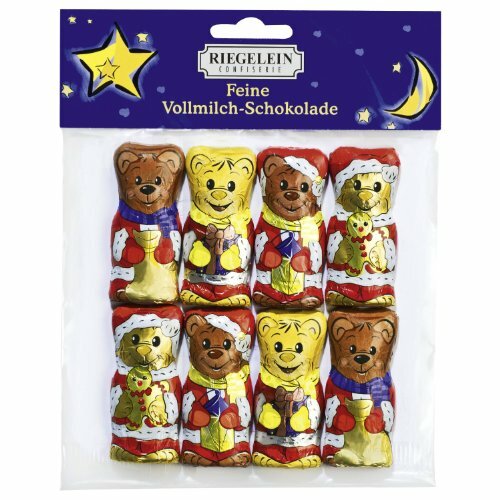 These milk chocolate ornaments feature the Twelve Days of Christmas. 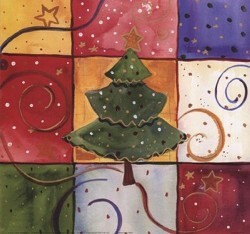 Colorful, festive, and tasty - what a great addition to your tree! These handmade Belgian chocolates are available in Milk, White or Dark Belgian Chocolate; also available in Sugar Free chocolates. 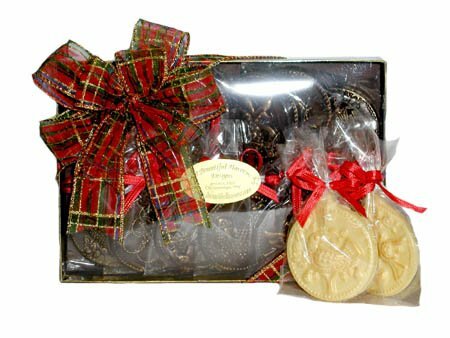 Each Chocolate is embossed with one of the 12 Days of Christmas brushed with edible gold. 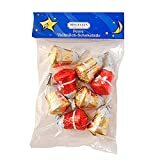 They are individually wrapped. Delicious milk chocolate wrapped in foil and ready to hang on your tree or stuff in a stocking! 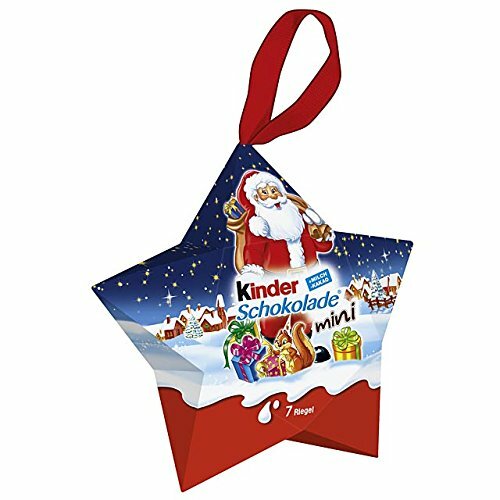 Kinder milk star ornament with individual chocolate bites. Also from Germany. Don't these bears look happy, and so colorful? I want them on my tree this year! Would you put these chocolate ornaments on your tree? What fun it would be to hang some of these on our tree. thank you for the idea! Yes, Christmas chocolate always seems special! I believe I have seen these just once. Nice article.